With DOD having been recreated last year, many have been waiting for them to release more of their pedals. They recently announced the re-release their classic Envelope Filter 440 pedal. 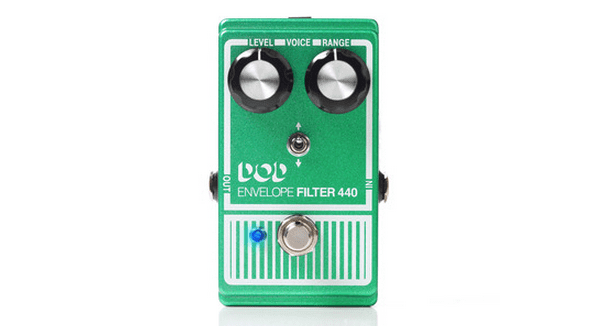 The 2014 version of the Envelope Filter 440 includes level and range controls, as well as a voice control switch. The UP setting of the voice control will deliver a classic envelope quack, and the DOWN setting will be perfect for bassists, giving huge low end. The pedal also has true bypass. The pedal should be available for purchase soon, but in the meantime you can buy other DOD effects pedals from Guitar Center here.